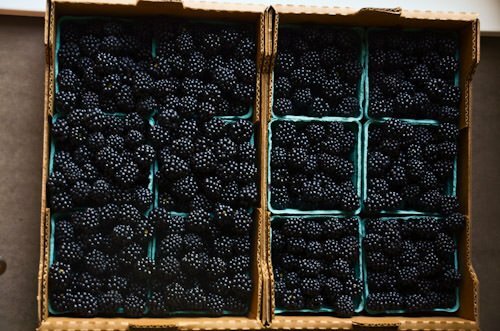 I went a little crazy at the farmer’s market this weekend after tasting these delicious blackberries from Ayers Creek Farms. What am I going to do with this bounty? Check back later this week to see what I manage to do with these jewels of summer!